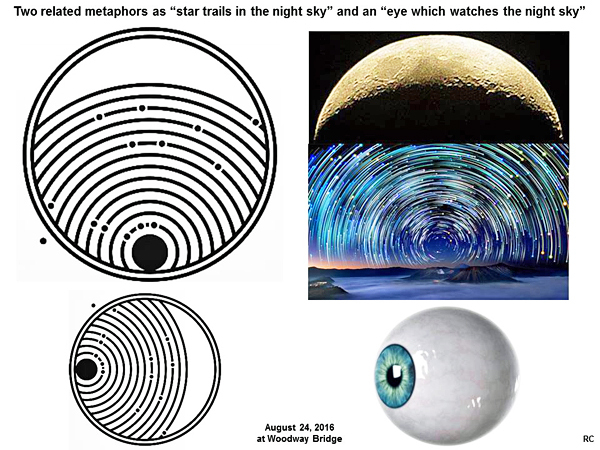 The Woodway Bridge crop picture was based on a clever “double metaphor”, as explained by a somewhat complex diagram shown below (thanks to Crop Circle Centre for the starting graphic). 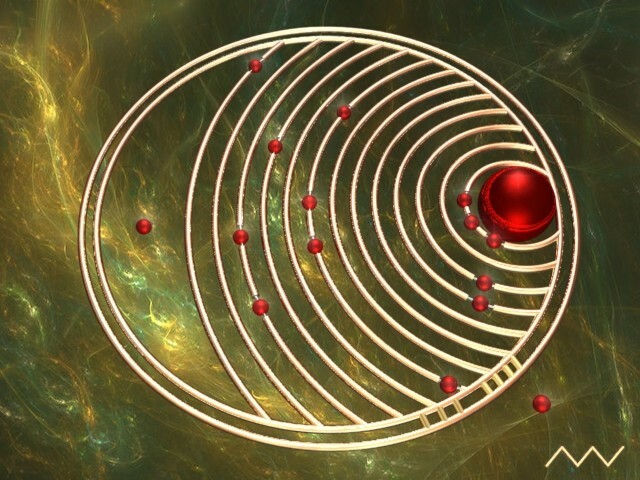 Yet when we look at it from another perspective, we can see a human “eye” and “pupil” with 13 curved stripes. In other words, the crop artist is asking us to “watch the moving night sky”. What might be we see there? 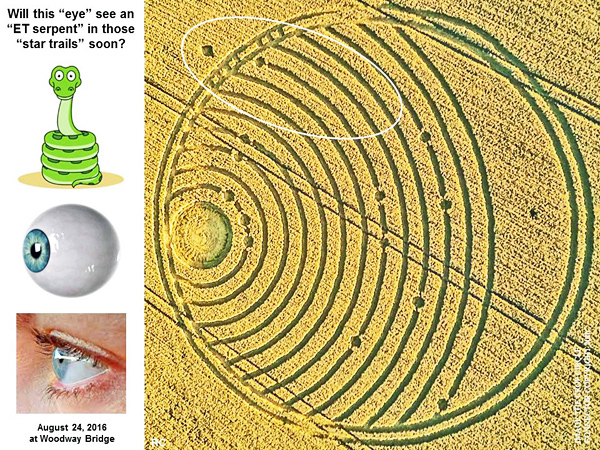 When we study the landscape near this new crop picture, we can see a combination of both “seeing eye” and “night sky” metaphors. 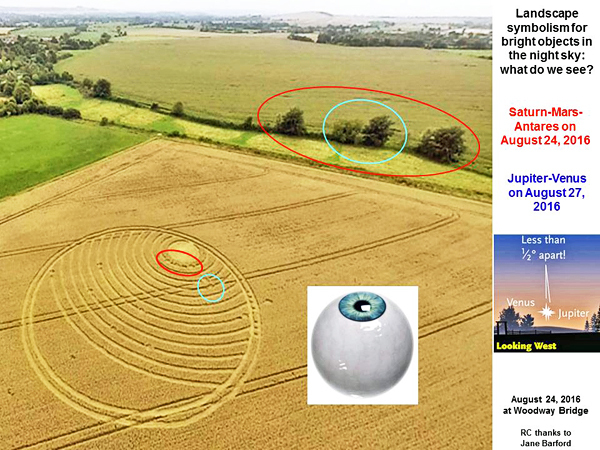 Thus the crop picture as a “seeing eye” has been drawn in alignment with a series of large trees. 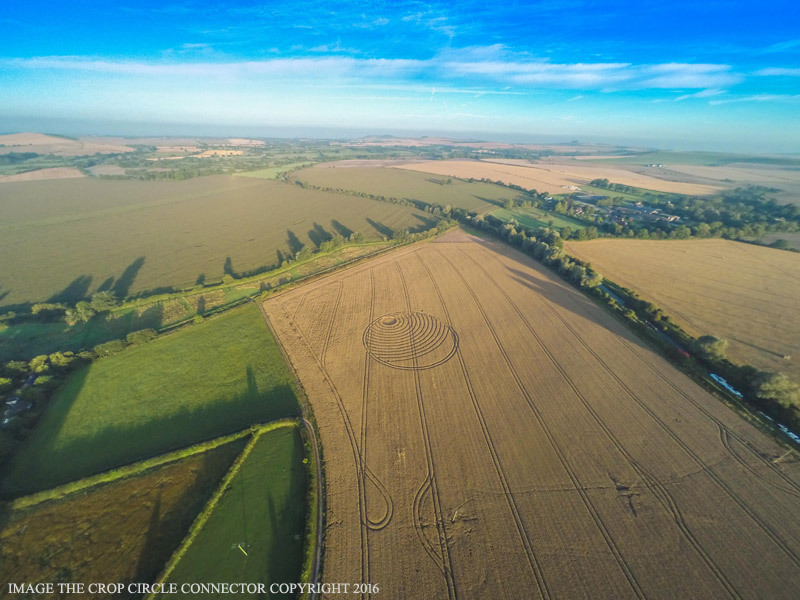 Thus in order to understand what this crop picture means, we need to study not only a complex pattern in the fallen crop, but also look at it from two different visual perspectives, each of which expresses a different artistic metaphor. Finally, we need to examine where it was drawn in the field, relative to certain landscape features nearby. It was indeed a work of artistic genius!